Firstly, preheat your oven to 400 degrees farenheit. Peel the zucchini and then put in food processor. Pulse it 2-3 times; enough so that you have small pieces of zucchini. Then you need to put the zucchini in a bowl and squeeze any extra moisture out using paper towels. After that, add the egg, almond flour, black pepper and salt. Mix together. This should make 4 small zucchini fritter 'patties'. Place in oven for 10 minutes, flip, and let bake for another 10 minutes. 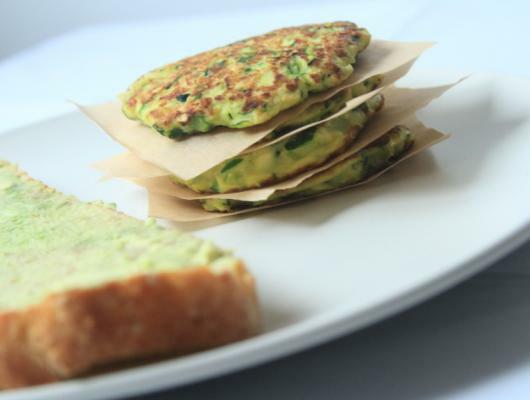 If you want a little more color, you may choose to broil the zucchini fritters for 2 minutes. Can substitute the almond flour for coconut flour or all-purpose flour. 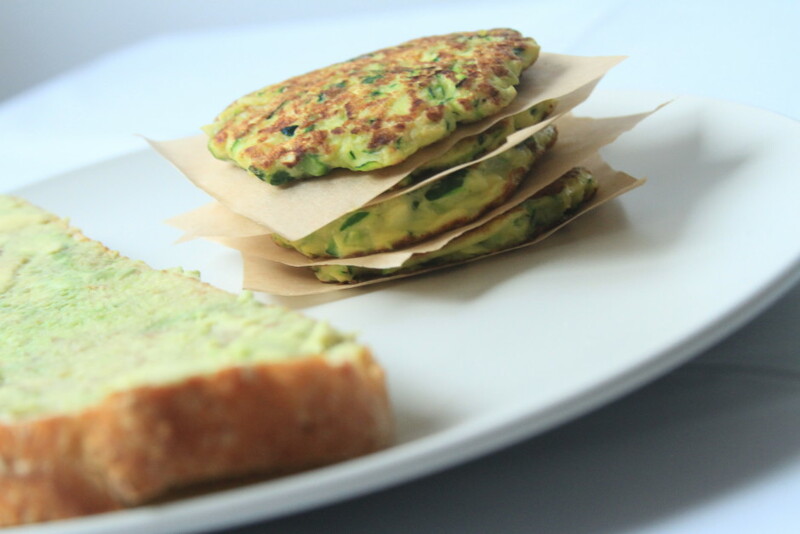 Delicious and healthy baked zucchini fritters that only take minutes to prepare!